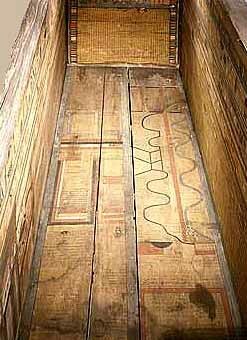 The Coffin Texts are a collection of ancient Egyptian funerary spells written on coffins beginning in the First Intermediate Period. The texts are derived in part from the earlier pyramid texts, reserved for royal use only, but they contain substantial new material related to everyday desires that reflects the fact that the texts were now used by the common people. Ordinary Egyptians who could afford to have a coffin had access to these funerary spells and the pharaoh no longer had exclusive rights to the afterlife. As the modern name of this collection of some 1,185 spells implies, the texts are mostly found on Middle Kingdom coffins. However they are sometimes inscribed on tomb walls, stelae, canopic chests, papyri and even mummy masks. Due to the limited writing surfaces of some of these objects, the collection was often abbreviated, and this gave rise to long and short versions of some of the spells, a number of which were later copied in the Book of the Dead. In contrast to the Pyramid Texts which focus on the celestial realm, the coffin texts emphasize the subterranean elements of the afterlife ruled by Osiris, in a place called the Duat. An Osirian afterlife is offered to everyone, and the deceased is even referred to as "the Osiris-[name]". This subterranean realm is described as being filled with threatening beings, traps, and snares with which the deceased must contend. The spells in the Coffin Texts allow the deceased to protect themselves against these dangers and "dying a second death". 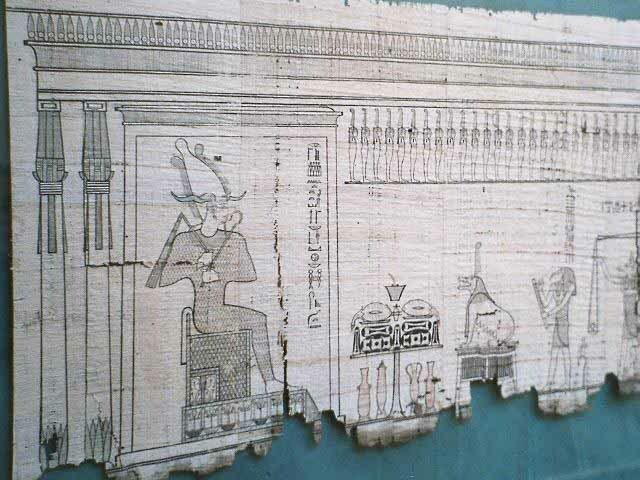 A new theme recorded in the coffin texts is the notion that all people will be judged by Osiris and his council according to their deeds in life. The texts allude to the use of a balance, which became the pivotal moment of judgment in the later Book of the Dead. The texts address common fears of the living, such as having to do manual labor, with spells to allow the deceased to avoid these unpleasant tasks. They combine ritual actions intended as protection, expressions of aspiration for a blessed existence after death and of the transformations and transmigrations of the ba and akh and so on. In addition there are descriptions of the land of the dead, its landscape and inhabitants. These include the Sekhet Hotep (Field of offerings or peace), the paths of Rostau and the abode of Osiris.